Happy Monday, My Lovelies! I hope you had a fantastic weekend. Shelley took the ACT Saturday morning, so we had a kind of low-key weekend around here. But look closely: Do you see it? This vintage machines no longer dispense cancer-sticks, oh, no! Instead they dispense art.....because one should "never be without art!" Called Art O Mats, these little machines can be found all over the world sharing tiny little works of art with the masses. The art is either contained in a box or affixed to a wooden block the same size of cigarette cartons. That's how they work. So. Cool. Art lovers can order cartons of tiny works of art from the website. Although I'm NOT an Auburn fan, I think it's fun that this machine is painted in the school's colors of orange and blue. Above are the little abstracts and landscapes we collected during the school year. We keep them in the art studio. Aren't they fun! While writing this post I developed an earworm Do you know what an earworm is? It's when you get a song stuck in your head and you can't get it out. I keep hearing R.E.M. 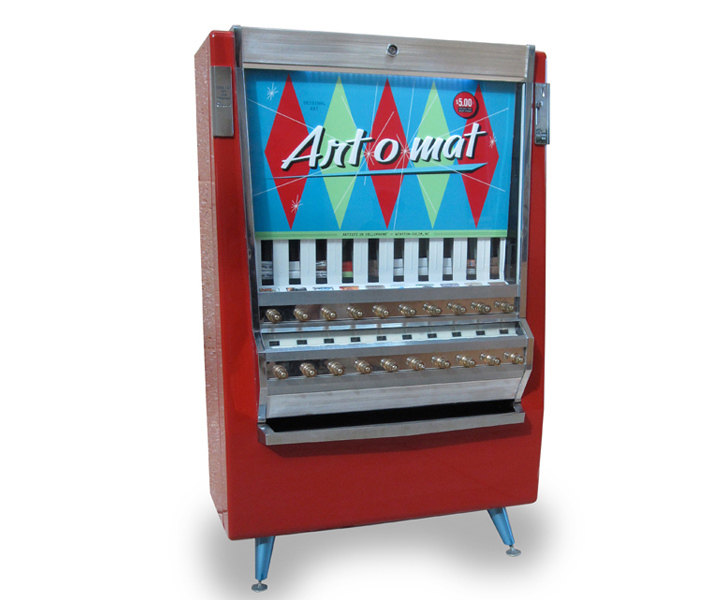 's Automatic for the People album in my head...probably because of the vending machines providing art for the masses.What's my favorite song on the album, you ask? Hmmmm....that's a hard choice because Automatic for the People just might be their best album. I guess that today my favorite song from the album is "Nightswimming." Here it is for your listening pleasure! Enjoyed the photos now I'm off to listen to the album. Bet Shelly is happy the testing is over. Art for the people in vending machines, brilliant idea. 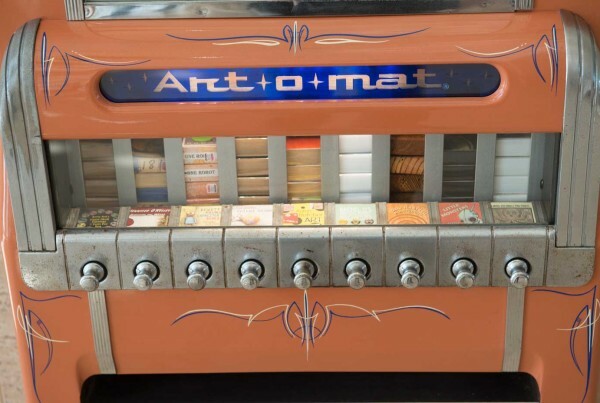 I have never heard of Art-O-Matic. What a great idea! 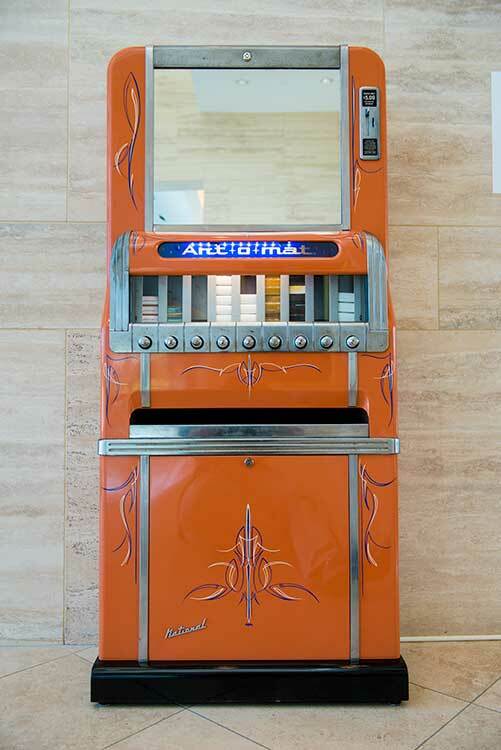 And some of the old cigarette machines were pretty cool. Thank God for a new purpose for them! I have never seen artomatics machines. I love the retro feel and what a neat concept!! Great song, thanks for joining us for Musical Mondays!